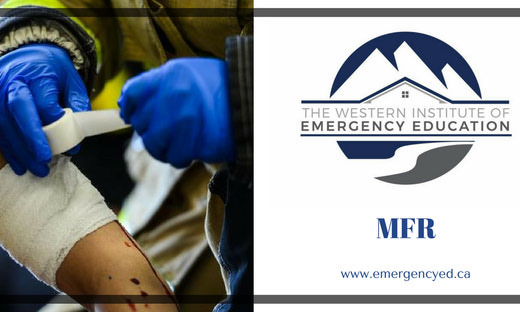 The medical first responder course offered at the Western Institute of Emergency Education is the Red Cross Advanced First Aid course. You will gain all the knowledge and skills you need to improve the chances of saving lives, reducing pain, and minimizing injuries before patients arrive to hospital. This is necessary for anyone working in traumatic emergency situations. Who Should Take the First Responder Course? 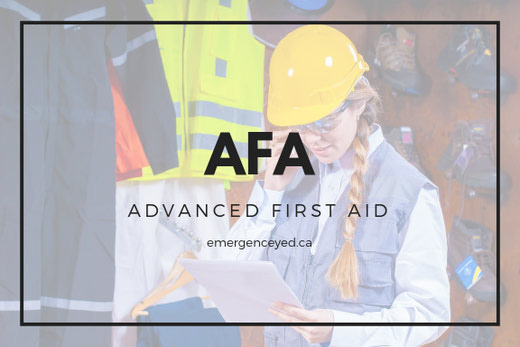 Any emergency health care worker looking to become an advanced medical first responder will benefit from taking this course. This includes paramedics, law enforcement, firefighters, industrial workplace responders, and other emergency services personnel in Canada. You should also take this training if you want to become a senior workplace first aid attendant. You will need to already have the standard first aid CPR AED Level C certification. You will spend a total of 80 hours in class receiving medical training and hands-on practice. The training is divided into 5 modules. The First Module covers preparation when responding to an emergency. You will learn how the responder needs to react according to the emergency scene, including how to prevent disease transmission. The Second Module cteaches you how to establish priorities when caring for the injured. Your instructor will walk you through the basics of anatomy, and physiology. You will then learn how to assess injuries. You will also cover different types of emergencies, including respiratory, airway, ventilation, and circulatory emergencies, bleeding, and shock. Finally, you will learn about the role of pharmacology in these scenarios. The Third Module focuses on traumatic injuries. This includes soft tissue, musculoskeletal, head and spine, and chest, abdominal, and pelvic injuries. The Fourth Module is medical emergencies. In this module, you will learn how to cope with sudden illness, poisonings, and emergencies related to heat and cold. The Fifth Module is on special populations and situations. You will learn about crisis intervention in scenarios involving childbirth, multiple casualties, and transportation, as well as incidents in the workplace. You will also learn how to safely reach and move people. To pass, you need to attend all 5 parts, demonstrate that you have learned the appropriate skills, score at least 80 percent on a written exam, and receive a passing grade on 2 evaluated scenarios. Not only will you receive valuable advanced training, completion of this training provides you with professional-level accreditation valid for two years. This is ideal for showing that you are capable of providing support in emergency situations, whether you are with or waiting for higher-level health care workers. 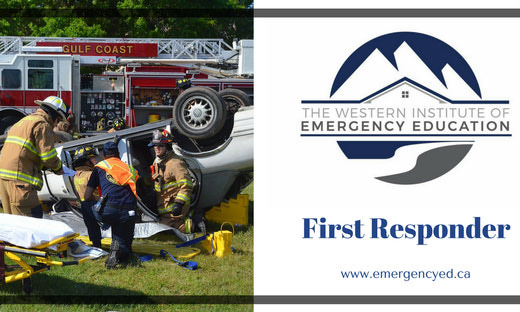 To renew the accreditation, you can take recertification of the first responder course. We offer this at either of our 2 WIEE locations in Western Canada, or please contact us for other options. The recertification takes just 40 hours to complete and includes CPR Level HCP. For more information please contact our Administration Office. 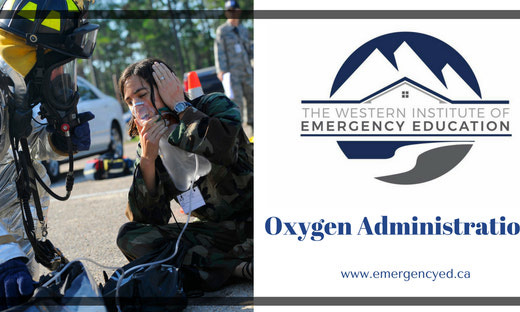 This course teaches how to operate various oxygen devices as well as how to respond and treat respiratory emergencies. This is the Red Cross Advanced First Aid program that is recognized as MFR. The program is 80 hours in length and delivered in class. Please pick you deliver options.